Ms. Dimick is a native of Muncie, Indiana and a graduate of Ball State Univeristy Honors College. She received her Juris Doctor in 1989 and recently celebrated her 20th law school reunion at Georgetown University Law Center in Washington, D.C. After graduation, Ms. Dimick joined a New York City law firm in the Wall Street District. She returned to Indiana in 1993 to work with the newly elected Indiana Attorney General. In 1995, Ms. Dimick re-entered private practice and has been a partner in two of Indianapolis’ largest law firms before helping found Jocham Harden Dimick Jackson, PC. Over her extensive legal career, she has gained a wealth of experience representing an array of clients ranging in size from large public companies to small privately-owned businesses, professional corporations, franchisees, and financial institutions. Equally comfortable representing either plaintiffs or defendants, Ms. Dimick’s clients also comprise public officials, business owners, directors, officers and former employees. 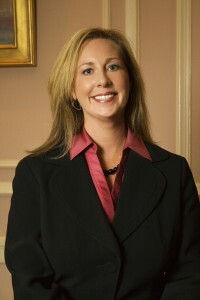 Her cases involve a variety of issues such as breach of contract, shareholder disputes, cyber-law disputes, breach of fiduciary duties, receiverships, landlord-tenant issues, zoning, trademark infringement, defamation, unfair competition, covenants not to compete, wage claims and employment discrimination and sexual harassment. Ms. Dimick’s diverse litigation history includes being retained as legal counsel for a congressional campaign for one of the top-ten contested elections in the nation.